Largs, United Kingdom A fisherman accidentally snagged a WWII era munition from the Firth of Clyde, an inlet of the Atlantic Ocean. 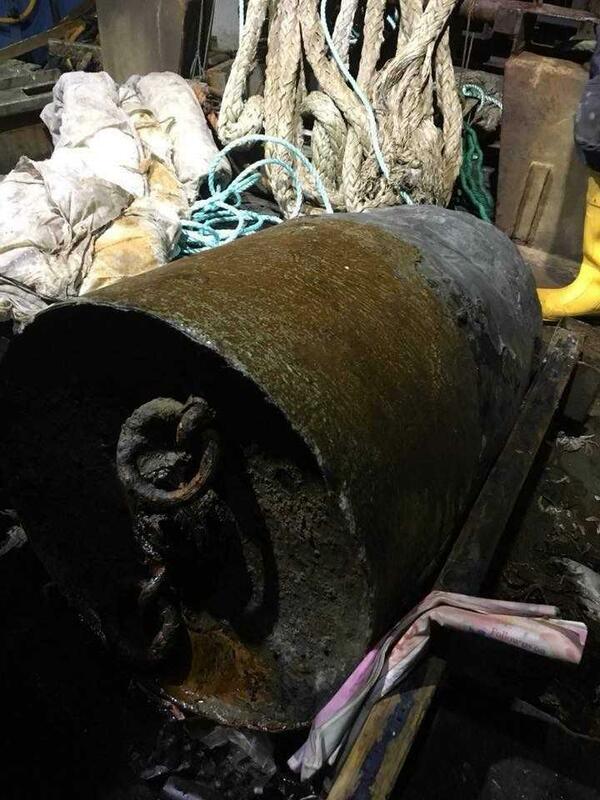 At first the crew thought it was an old boiler but after pulling the item to the deck, they decided to notify the Coastguard of their unusual find. The Coastguard responded and setup a 700 meter exclusion zone around the vessel as they contacted the Royal Navy for assistance. EOD was dispatched at met the vessel north of Great Cumbrae where they safely removed the munition from the fishing vessel. The item, reported as a German Mark 7 World War Two depth charge, was brought out to sea and submerged in about 100 feet of water. EOD placed demolition charges around the item and conducted an underwater disposal operation to eliminate the hazard.